The hardest part of planning a golf trip to Scotland is often just getting started. Which region in Scotland? Which courses should we play? How long of a trip? Where to stay? So many decisions. Help! Want a quick and easy way to kick start the trip-planning process? And save money to boot? Read on. To get over the trip-planning hump, simply sign up for the 2018 Links Golf Cup in Ayrshire. Beginning at Western Gailes on Monday September 3rd, this Individual Stableford event for amateur golfers then moves on to Gailes Links and Kilmarnock (Barassie), before culminating with the final round at Dundonald Links (venue for the 2017 Scottish Open and Ladies Scottish Open) on Friday September 7th. Four fantastic links courses (see map below) over five days. While barely lifting a finger, you’ll have your first four rounds locked and loaded, get help finding a great place to stay (if you want to avail yourself of discounted B&B rates), and culminate the week with a presentation dinner (3 courses with wine). The cost is only 345 GBP (about $460 USD), which includes the four rounds of golf, presentation dinner on Friday, and a welcome drinks gathering on Monday evening. If you booked the tee times yourself, the green fees alone would be 410 GBP. Add in another 40 GBP value for the dinner (my estimate) and you’re looking at a total value of 450 GBP (about $600). That’s a great deal! If you want to extend your trip — before or after the event — use the Scotland Golf Adventure Guide (from yours truly) to plan the ultimate Scotland golf trip. Or not. The main thing I want to encourage you to do is get out of your comfort zone and make that golf trip to Scotland happen. I think the Links Golf Cup Ayrshire could be just the ticket. To find out more about the 2018 Links Golf Cup Ayrshire and to enter go to www.linksgolfcup.co.uk or email andy@hybridgolf.co.uk. There is room for 108 golfers and they have sold out all previous events. Players come from all over Scotland, the UK and beyond — Germany, France, Holland, Spain, Italy, and America. What a great way to meet fellow golf enthusiasts, make new friends, and enjoy some friendly competition. We Film Golf will be at the event all week and they film the golfers best and worst bits and show them at the dinner with commentary. Alongside the individual Stableford competition, there is also a Team Competition (players on their own are put in teams) and a Par 3 Challenge at 8 selected par 3s over the week. 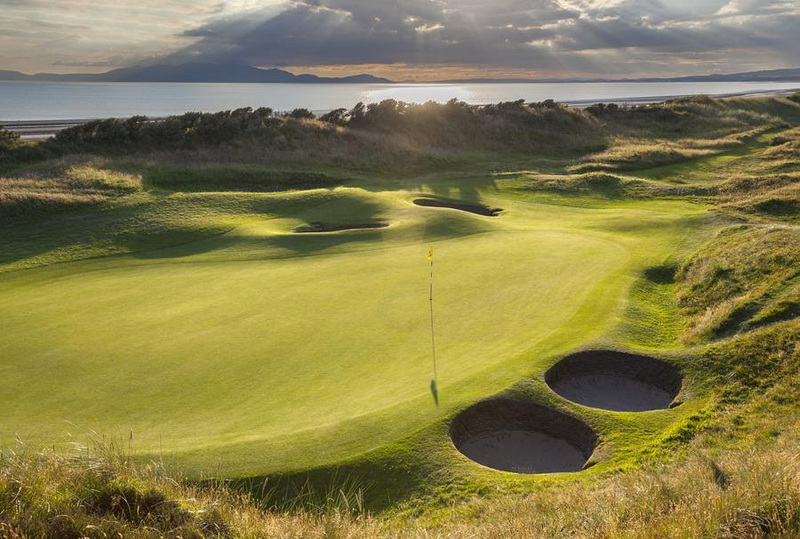 On the rest day (Wednesday) golfers have the option to play more golf at one of the local courses (even Turnberry, old Prestwick, etc), to go sightseeing, to book a whiskey tour, etc. Further accommodation options can be found in the Scotland Golf Adventure Guide. For detailed information and to sign up for the 2018 Links Golf Cup Ayrshire go to www.linksgolfcup.co.uk or email andy@hybridgolf.co.uk.